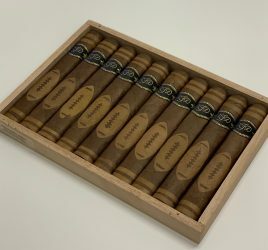 Today’s face-off features two inexpensive Cuban coronas, hand-rolled, of course, but using short filler (chopped leaves). In its lackluster, lightweight colorado wrapper, our corona weighs in with little charisma. A hint of leather in the cold draw foreshadows a rustic smoke. Despite its unpolished appearance, this Puro starts the first round with strides in the right direction. Pleasant, almost timid, the overall experience scores points with touches of café crème and with pastry notes. An unexpectedly smooth cigar to say the least. 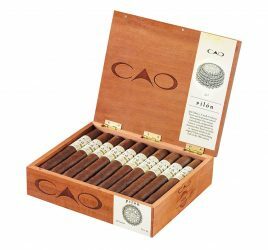 As you smoke though, the cigar builds strength and persistence but continues to surprise with a healthy dose of smoothness. The finish is less tasty and easygoing as bitterness chips away at the Puro’s delightful creaminess. Overpowering and one-directional, this cigar gets stuck on the ropes. Too bad: while far from complex, it was a good-natured smoke. Advantages: Generous smoothness, well-made, price. Disadvantages: Bitter final third, appearance, lack of complexity. While its coarse, dry maduro wrapper is on a par with its adversary’s, its body is more rounded and better filled. 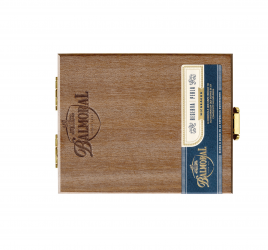 After a pre-draw of authentic flavors (toast, musk, wood), the cigar climbs into the ring and starts swinging, smooth and well-balanced. The smoke is fairly complex, throwing out precious wood, fresh spice (red pepper), musk and tanned leather. Without going for the KO, the corona packs a hefty punch and boasts real personality. We like the surprisingly beefy flavor profile despite its modest appearance and seemingly cursory blend. Good draw and real appeal. This Cuban deserves its ranking and even shows immense progress. This corona is in true fighting form. A nice surprise! Advantages: Complex flavor profile, construction, personality, price. Disadvantages: Relatively unknown, unappealing appearance.